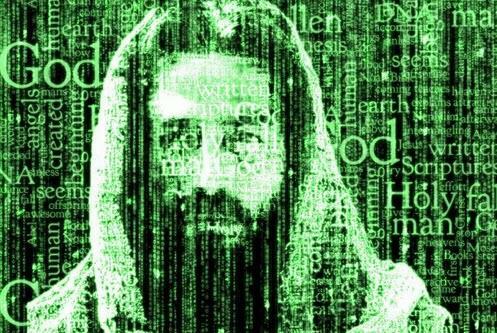 Religion & The Simulation Hypothesis, Part 2: Is Karma A Questing Algorithm? In Part I of this series, Religion and the Simulation Hypothesis: Is God an AI?, we looked at the implications of the Simulation Hypothesis, the theory that we are all living inside a sophisticated video game, as a model for how many things that are religious in nature might actually be implemented using science and technology. We looked briefly at the groundbreaking film, the Matrix, and how it brought this idea forward into popular consciousness with its release 20 years ago. We also looked at some of the central tenets of the Western (or more accurately, Middle Eastern or Abrahamic) religious traditions to show how they were not only consistent with this new theory, but this theory provided a way to bridge the ever-widening gap between religion and science. In this second part of the series, we turn to the Eastern religious traditions, Hinduism and Buddhism in particular (and some of their offshoots), and look at some of its central tenets. While we had to search for ways that simulation hypothesis might be implied in some of the core beliefs of the Western religions, the simulation hypothesis (or more specifically, the video game version of the simulation hypothesis) seem almost tailor made to fit into these traditions. In the video game version of the simulation hypothesis (which is not agreed upon by all simulation theorists), there are PCs (player characters) inside the rendered world who are associated with and controlled by conscious beings (biological or otherwise) outside of the rendered world. In the other version of the simulation hypothesis, everyone in the simulation is an NPC, or non-player character, and are basically AI which are being simulated. While Bostrom’s simulation argument seemed to fit the latter, my interpretation leans towards the former, and this article exploring religion and the simulation hypothesis relies on the video game version with PCs (“player characters”) while the NPCs are there to do what good NPCs do in video games: assist the players in some way to achieve (or hinder) their goals! The Eastern mystical texts, as a general rule, are on the one hand, older than the Western religious texts. On the other hand, they might be considered newer because the teachings do not stop with Buddha or any particular sage, nor do they rely on any one “book”. There have been sages and swamis in the many years since the original Vedas were written (the originals were thought to be written in the Vedic period, from 1500 BC to 500 BC), while Buddha’s discourses took places around 500 BC. While many of the original Buddhist texts haven’t been preserved in India, they have been preserved in Tibetan and Chinese. One branch of the Tibetan teachings trace their lineage back to Naropa, an Indian scholar from Kashmir, and with commentaries that continued to the time the Dalai Lama and his monks were forced to flee Tibet. What have these mystics been telling us all these long years? While everyone has heard of the many gods of Hinduism, when we look further at Buddhism, which grew out of the Hinduism of its time (not unlike Christianity grew out of Judaism), scholars tell us that Buddha didn’t say much about God. It wasn’t so much that he said there was or wasn’t a God or gods– he was just silent on the subject. Instead, he seemed more concerned with the mechanics of how life, reincarnation, karma worked and what this meant for each of us. As we said in Part I, what happens after we die and how that relates to our behavior here, in this world is central the reason religions form in the first place and this is what we will delve into in this article. What both traditions agree on is that the world around us is a kind of illusion, like a dream, and that we “download” to bodies to play out different roles in each of our multiple lives. If this sounds familiar it’s because it sounds a lot like a super sophisticated video game a la the Matrix! This branch of the Eastern religions explicitly tell us that the world around us is maya, or an illusion, and that all of our actions are recorded and have repercussions which must be played out (albeit in future lives). What is the nature of this illusion? According to the Hindu Vedas, it is the lila, the grand play that we become so involved with that we take it for reality. Of course, a stage play is a metaphor that would make sense at the time — each subsequent generation uses the technology of its time to describe God and religious metaphors — and video games may be the most powerful yet. This play is not just like a movie that we watch, but that we actively participate in and change events of. In Buddhism, the whole point is to recognize the illusory nature of the world around us — as if we were in a dream. In fact, in the Tibetan traditions there is a whole practice, Dream Yoga, whose goal it is to help you recognize that you are in a dream while asleep. Once you have recognized the illusory nature of the “dream-world”, which is like a little simulation that takes place while you are asleep, you are then prepared to the do the same while awake. It is one of the Six Yogas of Naropa, which has been preserved in the Tibetan traditions. In a multiplayer game like Second Life or Minecraft, we create objects which are made out of raw materials which are in fact, just pixels. Pixels consist of “information” that is then lit up using light when they are rendered. What seem like permanent things really are only visible and rendered while the game servers are up and running, which gives us new insight into the “impermanence of all things”. While this metaphor of a dream or mirage has been used for hundreds (even thousands of years), what this might actually mean from the perspective of science has never been fully explored. It means that what we think is real is actually a kind of projection — like a film, or more likely, an interactive synthetic experience, reminiscent of a dream. In today’s terminology, we would say it’s just like a video game! 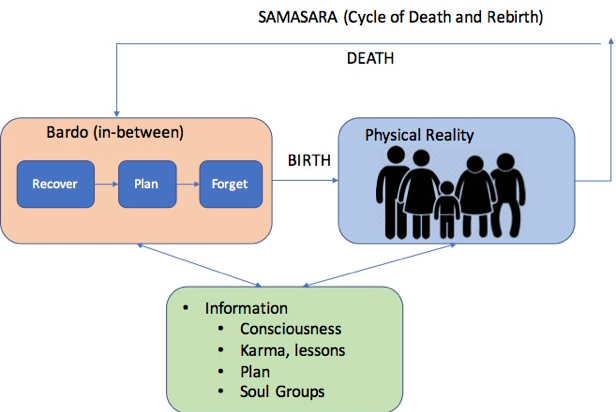 In Buddhism, the whole idea is to reach enlightenment, to get off of the wheel of reincarnation, by “waking up”. In fact, Buddha literally means “one who is awake”. Just like the “red pill” from the Matrix wakes up Neo from his illusory reality, the practices of Meditation and Yoga have been created by the sages over the years for a singular purpose: to wake us up from the illusory nature of reality around us! Multiple lives are common in video games — anyone who was around in the early days of arcade games remember putting in a quarter for a certain number of lives and then putting in another quarter to “continue playing” the previous life, or to start over. The first widely available arcade game was Pong, built by Atari, founded by Nolan Bushnell in the heart of the counter-culture of Silicon Valley in the 1970’s. No one knows if he was seriously thinking about the idea of reincarnation of metaphor of multiple lives from Eastern traditions when the term started to be used in side video games, but the terminology caught on. Today, we take multiple lives inside video games for granted. In the Eastern traditions, the tenet of reincarnation is one of the fundamental precepts that underlies various religions. In fact, reincarnation may be a mis-translation — the literal translation is transmigration of the soul from one body to the next. The basic idea in these religions is that there is a soul that “downloads” to a physical body. In some traditions, there is the colorful metaphor of crossing the River of Forgetfulness so we don’t remember our past lives. We then “inhabit” this body and in so doing, we create new karma as we go through the actions in this “play” or dream. 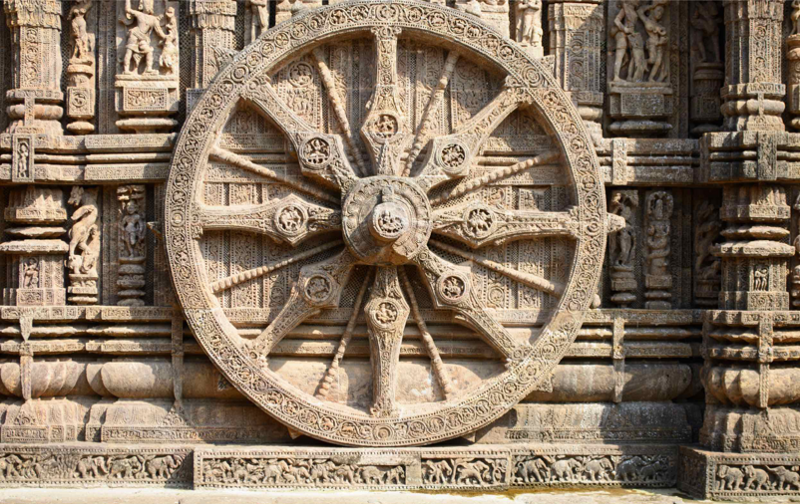 The Buddhist philosophy is expressed in Buddha’s endless wheel of wandering, or samsara, a depiction of which is shown in Figure 1. The reason we re-incarnate, the thing that keeps the wheel spinning, is karma. In the West, we are used to thinking of karma in gross physical terms (someone stabs you in this life, you get to stab them back in another life). It is more accurately the law of cause and effect. Assuming for a moment that these religions are describing a real phenomenon, how would it work? How could it be implemented? It is basically describing something so similar to playing an MMORPG that we barely have to draw an analogy. In video games, particularly MMORPG’s, we are players who live outside the rendered world. We play “characters” in the game world, and we can pause the character or keep playing it until it dies. In the Eastern traditions, where is karma stored? It is information stored outside the rendered world (like a cloud server) in video games. Basically, it functions like a scorecard, but even more so like a set of quests. When we take actions in this life, we are creating a new set of quests for our player to complete in this or a future life. Cause and effect. Each time we play the game, we generate more quests. You can think of Buddha’s endless wheel as an endless stream of quests. As you play, you create more quests for you to fulfill. These quests range from “little karma”, which we can fulfill easily in our dream-state (mental impressions or what the Tibetans call “karmic traces”), or “big karma” which requires us to go through actual experiences in our “big dream”, what we call “waking reality”. Who decides what challenges or quests we have to take on next? Metaphorically, the Lords of Karma dip into our past karma, which is stored somewhere outside of the physical world, find other “characters/players” for us to interact with (kind of like a multi-life “friends list”). The more you looik into karma, the more it looks like an impersonal force and doesnt’ required the Lords of Karam, just as we saw with the recording angels in the Islamic or Christian traditions in Part 1. It is more like a “function that gets implemented” than a series of personified deities keeping watch and making decisions for us. As a video game designer, I spent some time thinking about how this might be implemented. Figure 3, which is explained in detial in my book, is the result. It turns out that “Individualized quests” which are accepted by multiple players is about as good of a description as you can have for this process. Far from needing the “Lords of Karma”, if we have billions of souls (on this planet alone!) and each has their own set of karma, what better to keep track of it then an AI or algorithm that adheres to these laws? Each piece of karma can be thought of as a quest in a tree-like structure, each of which unlocks additional quests. This is a common structure used in video games, though no video game to date has implemented such a sophisticated quest engine. 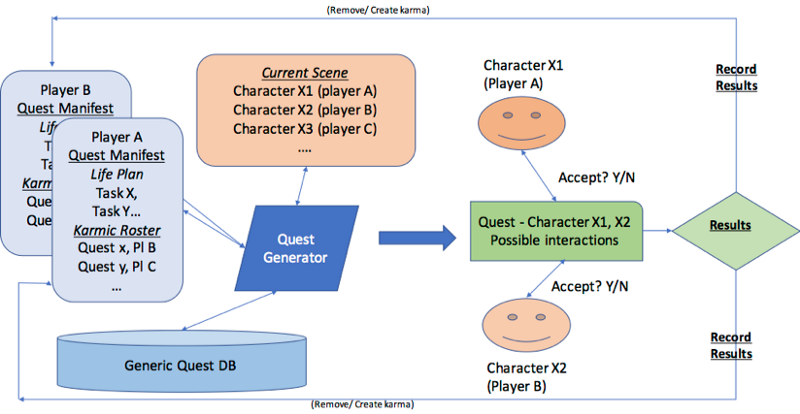 Each person has their own set of quests, and the system would decide, based upon who else is in the physical scene or vicinity of a player, which of the pieces of karma (or quests) that should be fulfilled now. If both players (who we can think of as the souls of two characters in the game) accept the quest, then an interaction is set up. Free will and choice are of course, there, but there is an invisible force that is guiding you towards certain people and certain actions, which leads to the idea that we have souls with whom karma must be fulfilled. While there is some disagreement in these traditions about whether there is such a thing as an “immortal soul” — in general, Hinduism leans toward an indestructible soul, while Buddhism tends to lean towards a more functional description. In Buddhism, some scholars have told us that the “thing that reincarnates” is more appropriately a “bag of karma”, rather than a separate indestructible soul. When someone awakens to the reality of the illusory state, the “bag of karma” is emptied and the individual consciousness, like a drop is free to return to the ocean. The wheel of wandering stops turning and they are in their last incarnation here in the game. In using the model of the simulation hypothesis, it almost doesn’t matter which of these two is correct– since the soul is downloaded as information and the “bag of karma” is stored somewhere outside the rendered world — just like a cloud server in a game like Fortnite or Minecraft! Regardless of which particular interpretation of reincarnation, there is no doubt that what is basically being described is like a very sophisticated video game, with a rendered world that we “enter”, downloading consciousness into a body at birth and uploading it at death. We don’t need actual beings as the Lords of Karma, Buddha’s Endless Wheel may be much better characterized as an algorithm for the lila, the grand play, or the grand video game, of Life! While it was once fashionable for scientists to invoke God and religion in their findings about how the world works, today this has receded and religion and science are thought of as two separate fields of study and endeavor. In fact, trying to explain religion scientifically, or using science as the basis for religion, is frowned on by both sides. But we see that the simulation hypothesis may be the one theory that provides a bridge between those who believe in “something else” and those who believe in the laws and rules of science and the promise of technology. With the simulation hypothesis those of us who are scientifically oriented can understand what the religions have been telling us all along: that we live in an illusory dream-like rendered world, that our actions are being recorded by beings (or processes) outside the rendered world, and that, like Neo in The Matrix, we can “wake up” from this simulated reality to the world beyond! Thanks to video games and science fiction like The Matrix, we may have a framework, a model, which lets us bridge the ever-widening gap between these worlds. NOTE: On the 20th anniversary of the release of the movie, the Matrix, MIT and Stanford grad Rizwan Virk is releasing his book, The Simulation Hypothesis: An MIT Computer Scientists Shows Why AI, Quantum Physics and Eastern Mystics Agree We Are In a Video Game, which explores the scientific, philosophic and religious implications of this important theory. Visit www.zenentrepreneur.comto learn more.